Tumbling is the gymnastics element in all star cheerleading where athletes learn to move using their hands and feet in a series of springs, twists, rotations, and landings. Skills in this area include but are not limited to: rolls, cartwheels, walkovers, handsprings, tucks and layouts. Athletes can choose from a variety of classes offered at various times throughout the week. 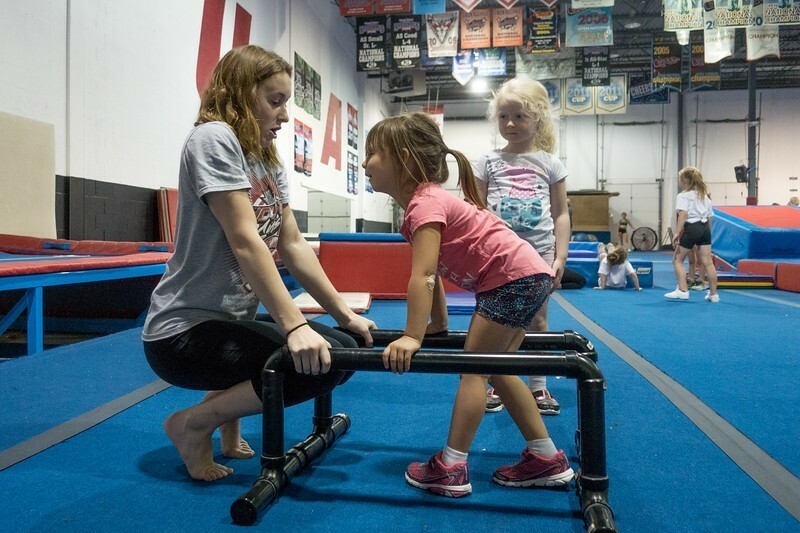 Tumbling is an early-specialization element in gymnastics and cheerleading and as such requires additional training by qualified coaches. At PCT, we are committed to the highest standards of tumbling instruction and have developed our classes in accordance with the industry’s best practices. Many of our coaches are credentialed not only through the International Cheer Union, but also through the National Coaching Certification Program in association with Gymnastics Canada. We also provide in-house training for our coaches on an on-going basis. Want to join a group tumbling class?